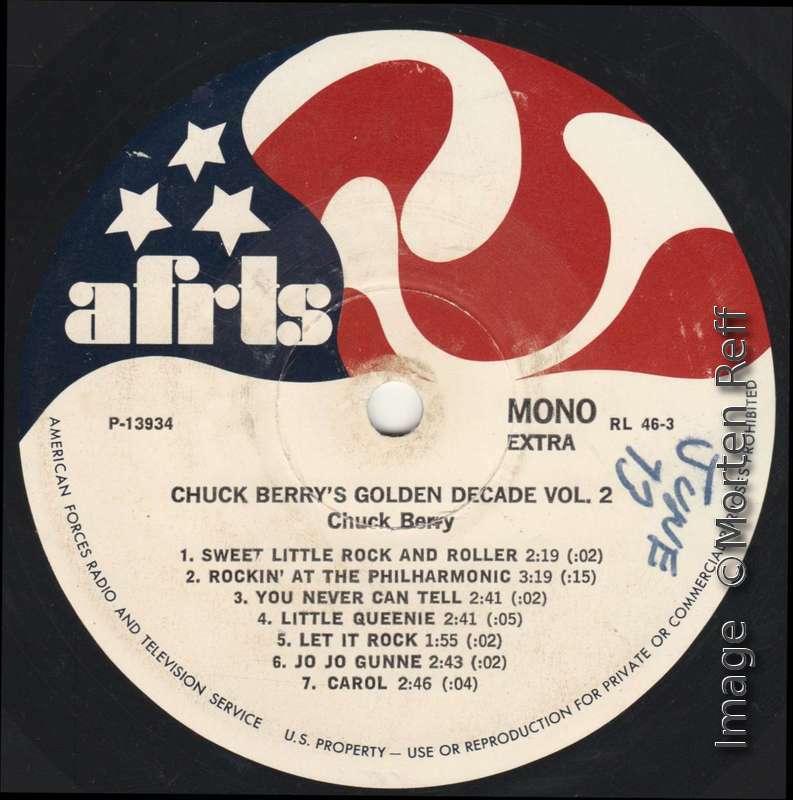 CBID is the Chuck Berry International Directory, a 2.200 page pile of Chuck Berry records information published in four volumes between 2008 and 2013. For details see the bibliography section of this site. CBID is never complete as new records and CDs appear and some old rarities are discovered. This section presents interesting additions and corrections to CBID. Today: Here's an addition to Chapter 5: Chuck Berry On The Radio. This turned up on ebay in November 2016. Never seen it before. 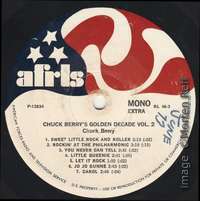 The Berry tracks are of course compiled from the 2-LP set Chess [GRT] 2CH-60023 released in February 1973. Lee Michaels is a psychedelic rock keyboard player and the three tracks on his side are taken from the 2-LP set A&M SP-3518 "Live" from 1973.